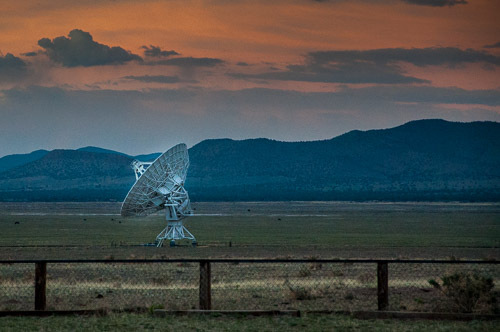 Very Large Array - Photographs-Now, Inc. 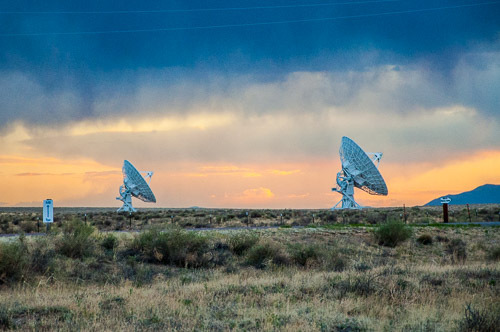 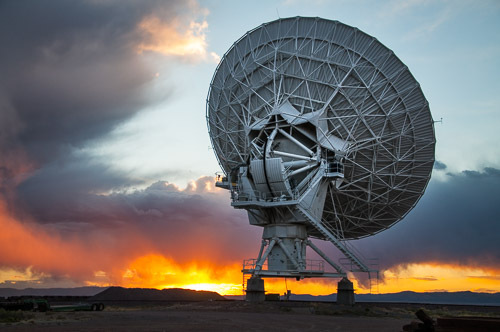 The VLA has twenty-seven 25-meter radio telescopes placed in a Y-shaped array and includes the equipment, instrumentation, and computing power to function as an interferometer. 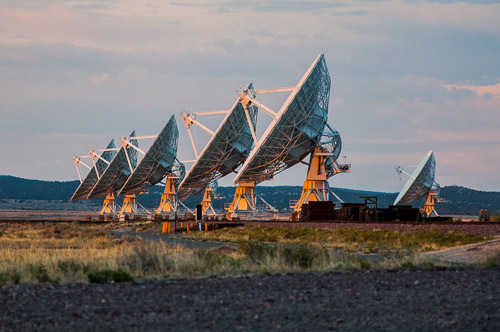 Each of the massive telescopes is mounted on double parallel railroad tracks, so the radius and density of the array can be transformed to adjust the balance between its angular resolution and its surface brightness sensitivity. 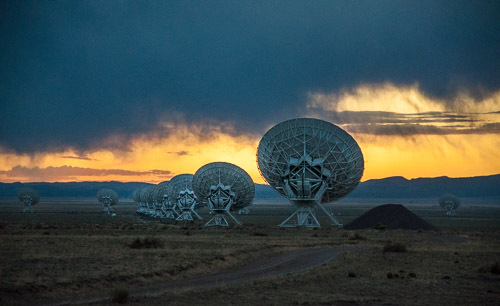 Astronomers using the VLA have made key observations of black holes and protoplanetary disks around young stars, discovered magnetic filaments and traced complex gas motions at the Milky Way's center, probed the Universe's cosmological parameters, and provided new knowledge about the physical mechanisms that produce radio emission. 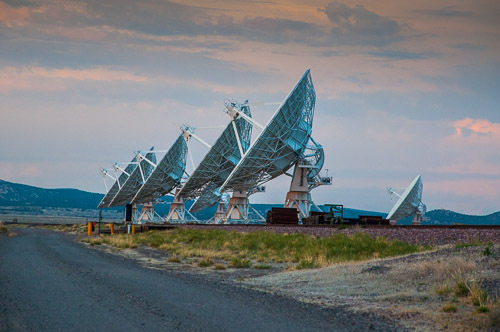 Each telescope has a dish diameter of 25 meters (82 feet) and weighs 209 metric tons. 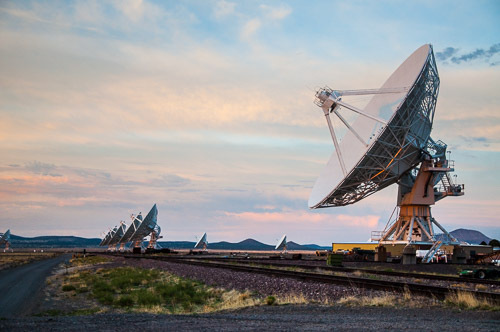 The antennae are distributed along the three arms of a track, shaped in a wye (or Y) -configuration, (each of which measures 21 km/13 miles long). 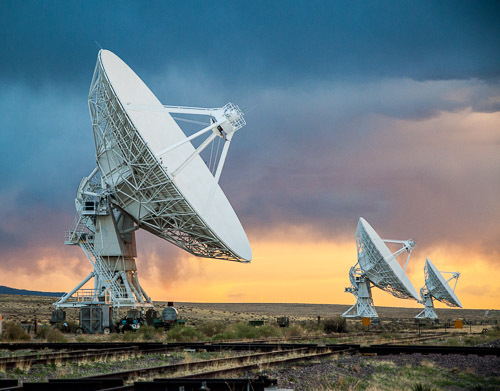 Using the rail tracks that follow each of these arms—and that, at one point, intersect with U.S. Route 60 at a level crossing—and a specially designed lifting locomotive ("Hein's Trein"), the antennas can be physically relocated to a number of prepared positions. 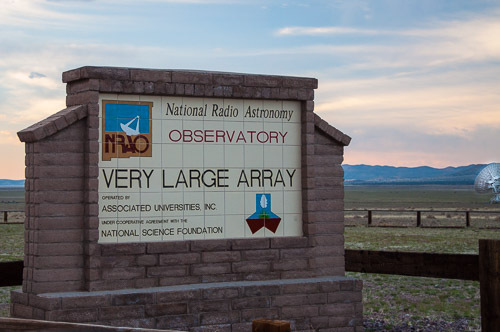 In essence, the array acts as a single antenna with a variable diameter. 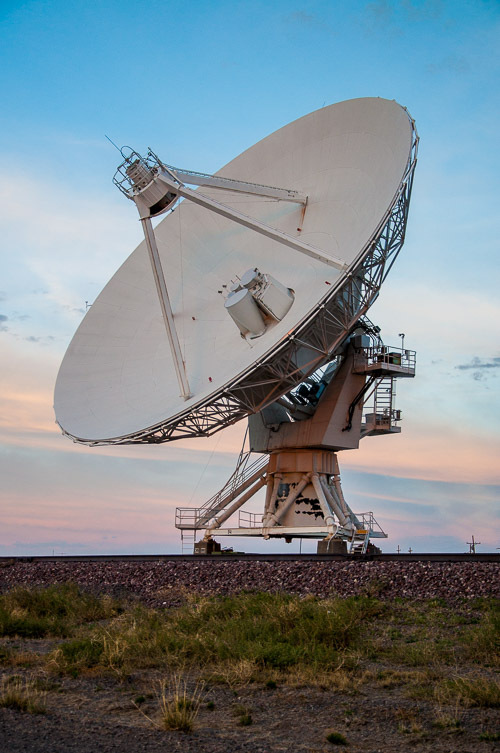 There are four configurations, designated A (the largest) through D (the tightest, when all the dishes are within 600 m of the center point). 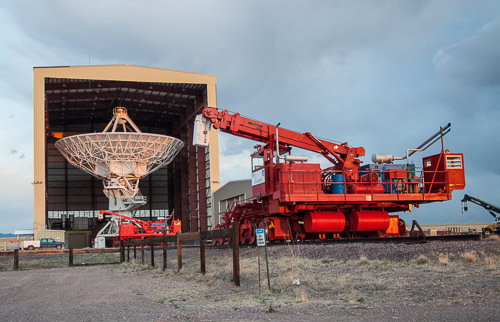 The observatory normally cycles through all the various possible configurations (including several hybrids) every 16 months; the antennas are moved every three to four months. 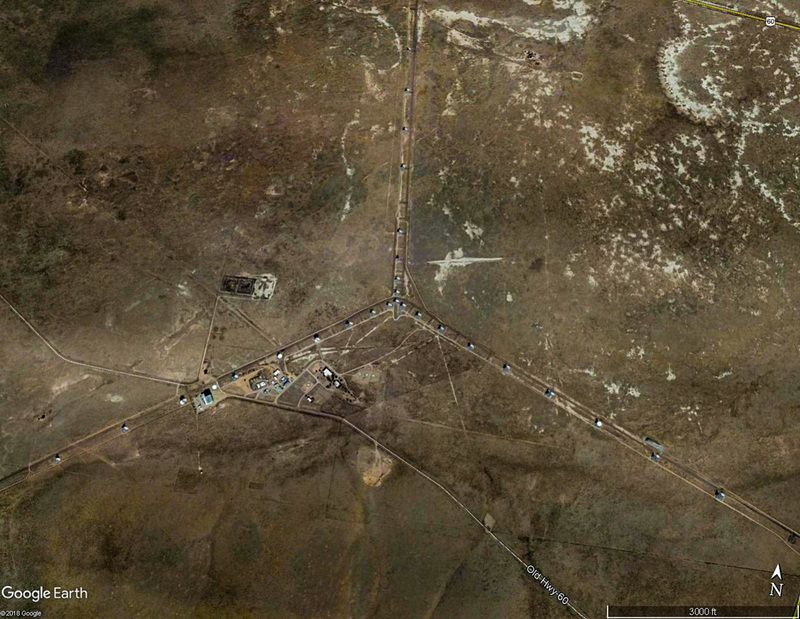 Moves to smaller configurations are done in two stages, first shortening the east and west arms and later shortening the north arm. 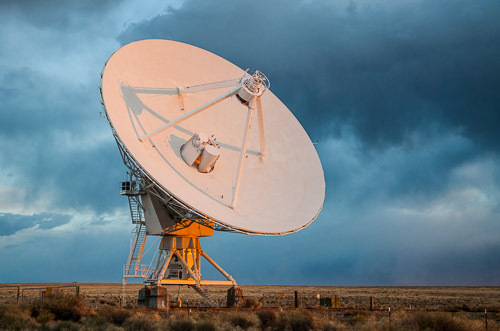 This allows for a short period of improved imaging of extremely northerly or southerly sources. 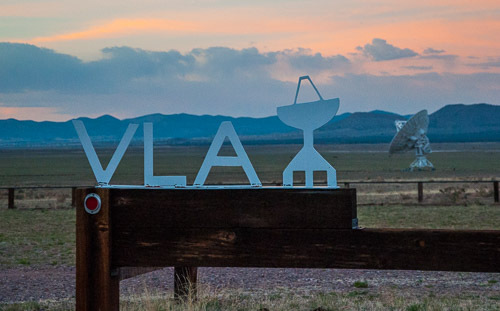 To see a video of the VLA, click here.